It is a real gas saver. The Kia is so cheap to refill. I like my Kia because it has a manual transmission, and it is fun and easy to drive. I enjoy the radio turned way up loud when I drive. The Kia handles nice on wet or dry roads. The steering wheel is smaller, which makes it nice for woman, I believe. The pedals are not too close together, so using the manual transmission is a breeze. I have taught all 3 of my kids how to drive manual transmission with it. They are all grown now and all own manual transmission vehicles as well. One even owns a Kia! I have only had to have regular maintenance done over the years. No major trouble at all. I bought this car used and have been very pleased with it. 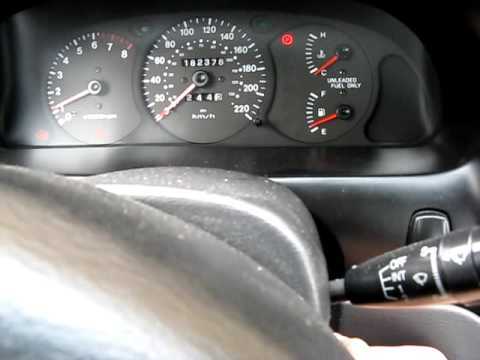 2001 Kia Sephia still runs efficiently in old age. Even though the vehicle is fairly old, it still runs nicely. It is gas efficient and has given very few problems. I've had to change the serpentine belt and change the brake pads in the time that I've been the owner. Other than that the car has run fine and seems to be worth the investment. I bought this vehicle new and it is still going strong. It has been maintained regularly which is necessary to ensure longevity. My only complaint is the dashboard lifted, like the glue separated.